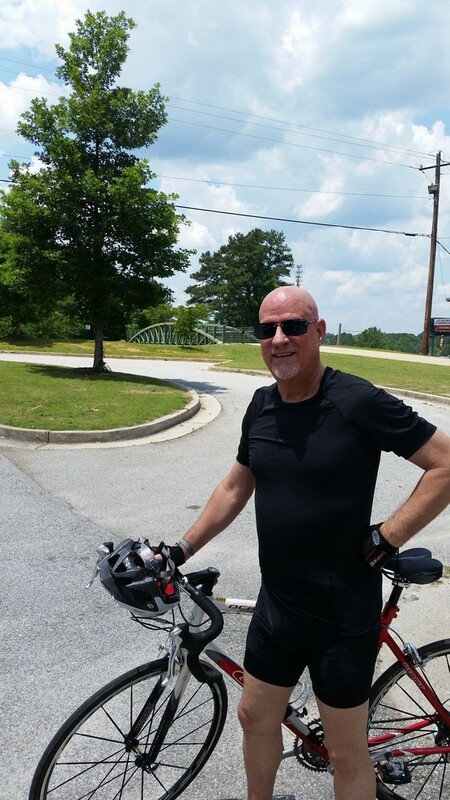 I was on the Silver Comet Trail, this afternoon, enjoying a bicycle ride on a beautiful Sunday afternoon when I had a flash of insight. I have hit the age where I am no longer pushing the limits. No more personal bests, in either speed or distance. My rides are no longer analogous to the thrills of yacht racing. I have moved on to sailing and bailing. I’m out there, on a regular basis, but it is more a process of trying to keep from sinking (into old age) than it is racing against myself or others. And you know what? I’m okay with that. It’s fun. It feels good, and I don’t have to deal with the fitful sleep of an aching body. At least, not so much. If you are in the metro-Atlanta area and don’t know about the Silver Comet Trail, you owe it to yourself and your family to check it out. Built in the old roadbed of the famous Silver Comet passenger train, it runs from Smyrna (just northwest of downtown Atlanta) to the Alabama state line. You can ride a little over 60 miles, one-way, with hardly any major street crossings to bother you. And, unlike riding on the streets, there is no competition with automobiles. NO motorized vehicles are allowed. You share the trail only with walkers, runners, cyclists and skaters.